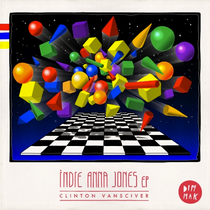 Clinton VanSciver is planning an assault on your dance floors and he kicks it off with his 'Indie Anna Jones EP' on Steve Aoki’s Dim Mak Records, a four-track release that should immediately get your attention and will no doubt be blasting through your speakers. The EP is a mix of pop/dance tempos, transitioning into a brief chillness before reverting back to its big room, happy feel. It’s a rumbling collection of songs with a balance between light and dark sounds, resonating on various levels. Clinton is Check it out below, featuring the vocals of Ft Queen B.